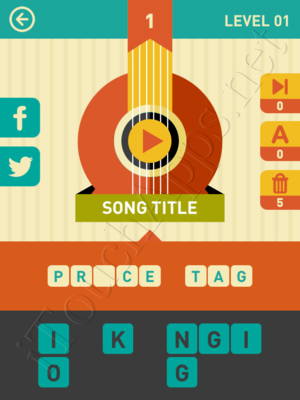 **NOTE:** Songs within any particular level are presented in a different order every time the game is played. In order to find an answer, you’ll need to either use the word solver below, or browse all the answers in that particular level, because the order in which the songs appear for you may be different from what I’ve got below. To see the screen capture of any level, simply click on the corresponding link below. Icon Pop Song Answers: Level 4 Song 81 – Y.M.C.A. Icon Pop Song Answers: Level 6 Song 114 – E.T.